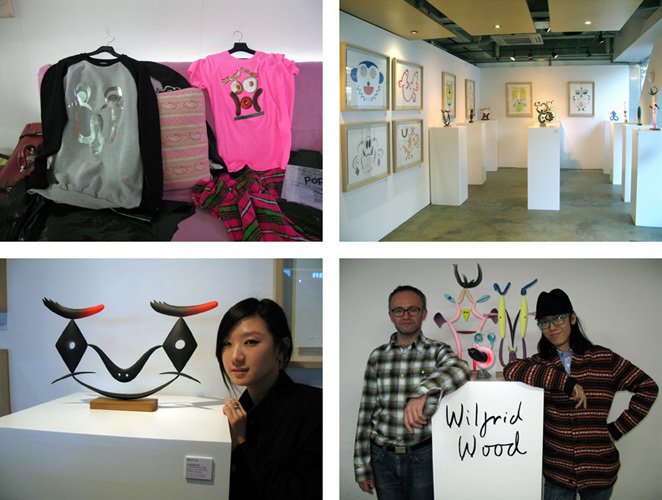 Wilfrid Wood - Abroad - Seoul, South Korea. My show (23 October - 6 November 2010), organised by the fashion designer Ha Sang Beg, 'Seoul's lovable agent provocateur', was in a building called Sangsangmadang in the Hongdae area of Seoul. We collaborated on some textile designs for t-shirts and jackets.